If you have never been in therapy but are curious, or, if you are re-entering therapy, here’s what you can expect. I offer a free 30-minute consultation in person so we can determine if we’re a good fit to move forward with scheduling our first session. During our first session, I will explain confidentiality, the parameters of therapy, and the nature of the therapeutic relationship. Additionally, we will discuss what issues you would like to work on, collaboratively set treatment goals, and allow you the opportunity to give me a biopsychosocial history, which will enable me to conceptualize how best to approach therapy with you so that your experience can be successful. We will also be able to determine together the appropriate frequency of sessions so that therapy can be most beneficial for you. Every therapist utilizes a particular therapeutic approach to treatment. Some utilize one specific approach, while others use a combination. I utilize a couple different approaches that will accommodate people who are interested in either short-term/brief therapy or more long-term therapy. 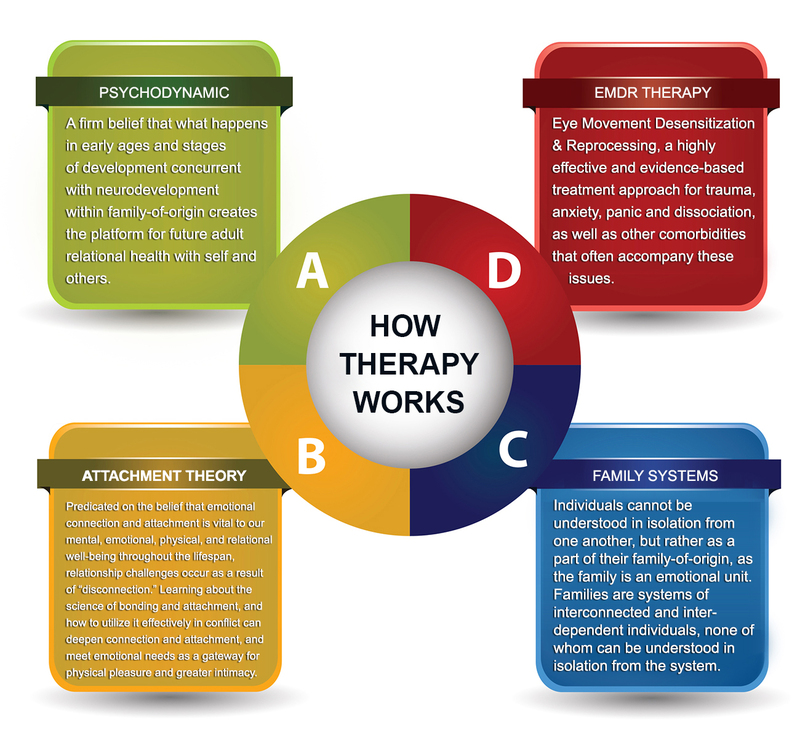 I utilize Psychodynamic therapy, EMDR therapy, Attachment Theory, and Cognitive Behavioral Therapy. What’s the difference?